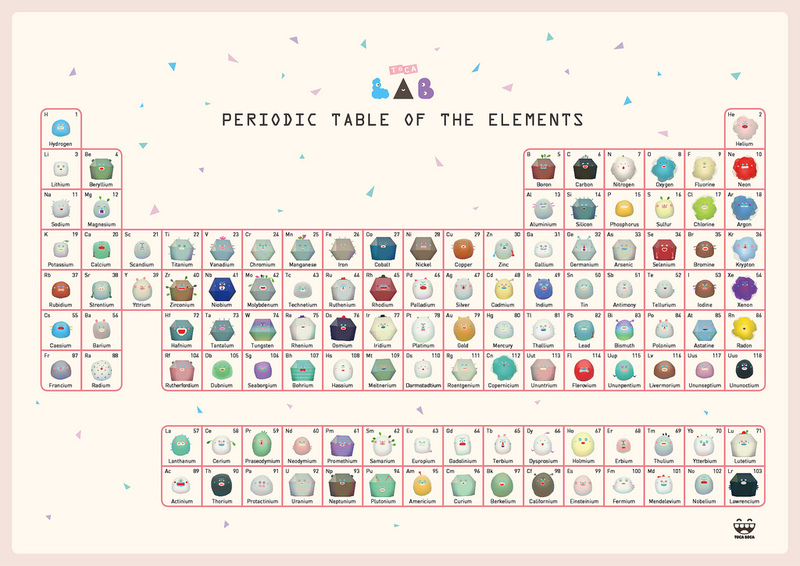 At three years old, when our son became thrilled with the periodic chart (thank you Toca Boca), I wasn’t sure it would last. Now at five-his obsession with the elements remains. As expat New Yorkers down in Melbourne, Australia-we live and breathe RadioLab podcasts. In one special episode-about a month ago-I learned Dr. Oliver Sacks loved the periodic chart so much he had one in every room: even his bathroom. He had a bedspread, a T-shirt and a prized possession-a wooden box from Russia with real examples of each of the elements inside its own wooden cube. I told our son right away. As a child who carries a laminated TocaBoca element chart (above) to school every day, who hangs the periodic table up in whatever city we’re in, who wears an element T-shirt to bed and who desperately wants a periodic coffee mug to match-he insisted we had to go to Russia right away. We need our own wooden periodic table box immediately. “Why don’t we look up some photos of Dr. Sacks’ table first?” I offered. 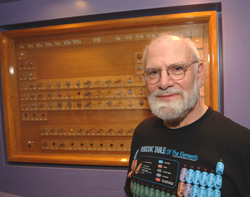 We searched online to find photos of Dr. Sacks with all his periodic accoutrement. His kind face with his white beard was all very compelling to a five-year-old. I explained how curious Dr. Sacks is and how kind- how he uses his beautiful mind to help human beings understand themselves better. I explained his gift for story telling, his ability to weave the scientific terminology of Neuroscience into mythological tales. I also explained how Dr. Sacks is sick and will die soon. My husband and I suggested he could make a video for Dr. Sacks. He could explain how he too enjoys the periodic table. Maybe that will give him some joy in his final days. Of course, we had no idea how we would send Dr. Sacks a video, but the process of making it seemed life affirming, death affirming, periodic chart affirming. We dawdled. My husband shot some video. Life interrupted. Later that Sunday I pointed out Dr. Sacks’ autobiography in the window of a book shop. I didn’t, but as he was very much on my mind, I tucked the boy into bed that night and opened the video. 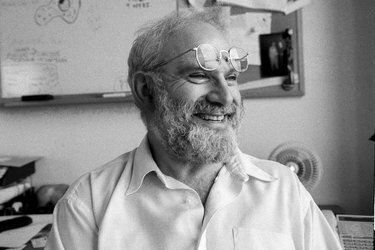 I opened my browser and there smiling out from the New York Times was Oliver Sacks who had passed away thirty minutes before I sat down. The little man was still awake, so I told him. He studied it very closely and smiled, because how could you do anything but when you look at this photo? And so Dr. Sacks-wherever you may be-we’ll put this video out into the universe along with you. Thank you. We could ask for no finer role model. What can I do, if I can’t make you cry? Thank you. May all our boys become amazing adults. The world needs them…that’s for sure. It is! I hope it is with you too.